A wonderfully picturesque but demanding "dogleg". 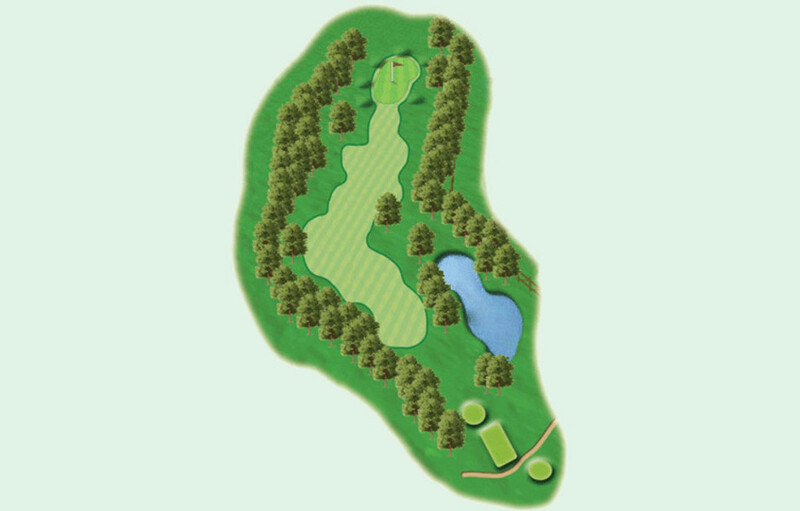 The tee shot must avoid the large tree on the right hand side of the fairway, and this is followed by an approach to the green that is well protected by the surrounding woodland. This is truly a risk and reward hole, if you aim your tee shot to the right of the tree you can open up your approach to the green.